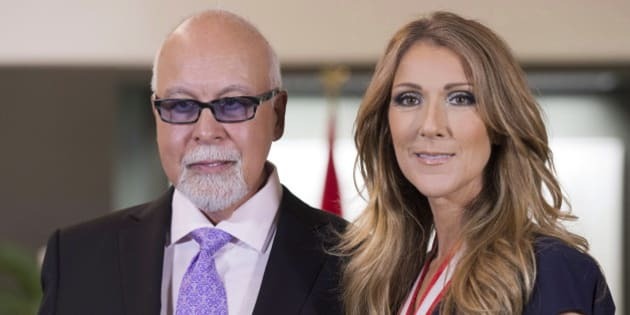 Celine Dion wasn't even a teenager when her future husband and manager Rene Angelil was nearing 40. The superstar singer, 12 when she met her then-38-year-old future husband, didn't begin dating him until she turned 19. But she told Access Hollywood "maybe at 17, 18 years old, my feelings started to change for him. I kind of saw him differently." Dion says her mom saw it coming, and was none too happy about the age gap between them. "It was very difficult for her," Dion said regarding her mom, now 86. "When I told her I had some really strong feelings for Rene she tried everything to kill him and make me snap out of it. I was very frustrated and mad at first but she tried to make me understand that this man tried marriage twice before, he has three children, he's not responsible. "She said, 'You're my daughter, you're my baby and I want the perfect Prince Charming for you.' And then it was so strong that my whole family was in love with him and she had no choice." Dion even admitted that now she herself is a mother, she'd be less than happy with a similar situation. "If I reversed roles -- when I had my first son, RC, if I think of him and he comes [to me] with this lady who has kids and she's 45 and she think she knows best, [I'd be] like, 'Take your hand off of my son.'" This isn't the first time recently that Dion has discussed her marriage. In July, she told Vegas Deluxe magazine's Robin Leach "Rene and I had our tough times. It wasn't always easy. We had tension between us. It's never easy being husband and wife, but add to that we are in business together, dealing with all the added pressures of shows, concerts, tours, traveling. It was hard -- a lot of hard work." Dion is releasing a new studio album "Loved Me Back To Life" in early November but revealed the track list and collaborators earlier this month, including Ne-Yo on the song "Incredible" and "Overjoyed" featuring Stevie Wonder. The EDM inspired title track is already a hit. She's performing a handful of European dates in late November and early December before commencing a new Las Vegas residency at Caesars Palace starting Dec. 30 and running through to March 19.